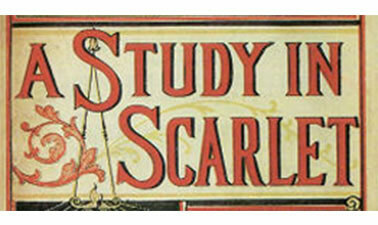 This literature course will explore A Study in Scarlet, an 1887 detective mystery novel by Sir Arthur Conan Doyle. This novel introduced the iconic Sherlock Holmes and his friend Dr. John Watson. The book's title comes from a speech Holmes gives to Doctor Watson about his work, saying: "There's the scarlet thread of murder running through the colourless skein of life, and our duty is to unravel it, and isolate it, and expose every inch of it." The story received little very public interest when it first appeared. In fact, only eleven complete copies of Beeton's Christmas Annual 1887 are known to exist. Many adaptations of Sherlock Holmes exist, however, and he continues to fascinate readers as an enigmatic detective. That must be Cool.Love it... I cant wait anymore. ;) Please write about the other stories of Sir Arthur too Mrs.Sokolik. I wish i know more about this man too. Thank you very much for this course.